I’ve been spending a lot more time on Pinterest lately, and I’ve decided to add a very specific new board to my profile. Welcome the Eyes of Texas pinboard. 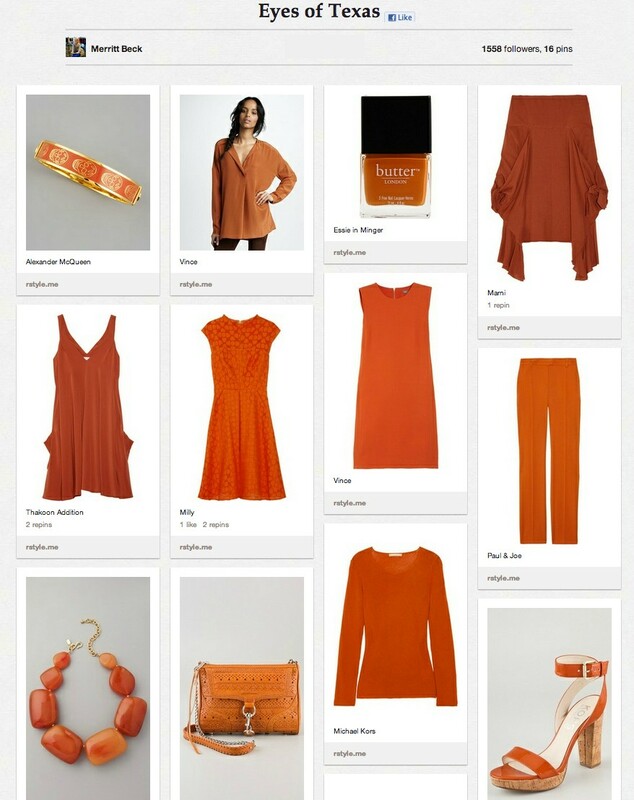 With college football coming back in a couple months, I’m eager to add more burnt orange to my wardrobe and it’s usually hard to come by (cute stuff anyway). Follow Eyes of Texas for a list of amazing burnt orange finds that I will continue to update as the weeks progress. Have any other college colors you want me to look for? Comment on this blog post with your suggestions!